CHRIS STAPLETON and LITTLE BIG TOWN each received three GRAMMY nods today (11/28), leading all Country nominees. 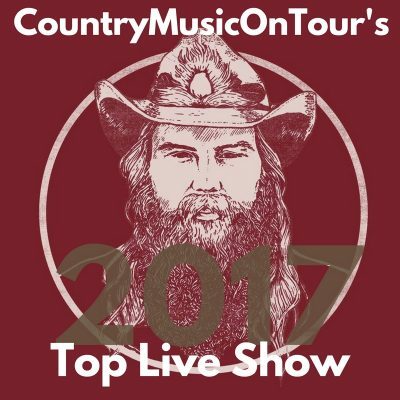 STAPLETON is up for Country Solo Performance (“Either Way”), Country Song (“Broken Halos”), and Country Album (“From A Room: Volume 1”). LITTLE BIG TOWN joins STAPLETON in the Album and Country Song categories (“The Breaker” and “Better Man,” respectively), with another nomination for Country Duo/Group Performance (“Better Man”). SAM HUNT, MIRANDA LAMBERT, MIDLAND, and LADY ANTEBELLUM were all double nominees. For the first time in 14 years, no Country acts were included in the GRAMMY’s top four categories, which are also considered its most prestigious: Record Of The Year, Album Of The Year, Song Of The Year, or Best New Artist. The “60TH ANNUAL GRAMMY AWARDS” are set for SUNDAY, JANUARY 28th, 2018 at NEW YORK’s MADISON SQUARE GARDEN and will be broadcast on CBS-TV. Country Music News Blog participates in advertising programs that help fund the operation of this site. For more information please visit our privacy statement. This entry was posted in Chris Stapleton, Grammy Awards, Press Releases by Shauna "WhiskeyChick" Castorena. Bookmark the permalink.